Without the support of companies that believe in our mission — the idea that a recognition program for Administrative Professionals is long overdue, this program would not be possible. Not only do the following companies truly understand the importance of this program, but they commit their budget, time and resources making The San Francisco Admin Awards a success. Please consider saying ‘thank you’ to the following companies when a need for their services arise by giving them a shot at your business. We carefully choose the brands and partners we align with so you can rest assured you’ll be well taken care of too. Founded in 1948, Robert Half (NYSE: RHI) is the world's first and largest specialized staffing firm. The company places professionals on a temporary and full-time basis in the accounting/finance, technology, legal, creative and administrative fields. Robert Half again was named to FORTUNE® magazine's list of "World's Most Admired Companies" and was the highest ranked staffing firm (March 1, 2016). For more information, visit roberthalf.com. 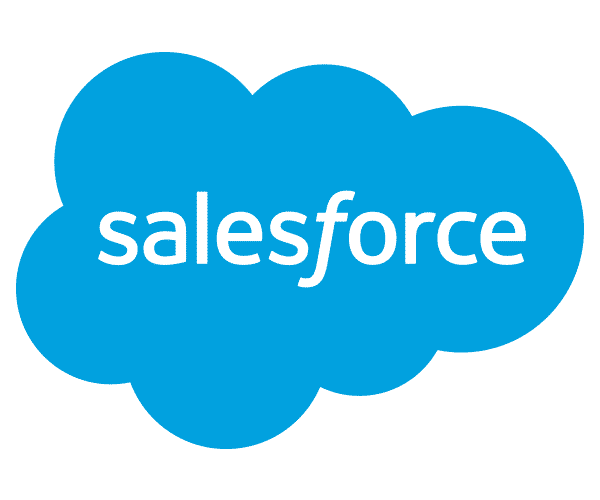 As the world’s #1 CRM, Salesforce’s goal is to help your business connect to its customers in a whole new way. We focus on customer success and consistently deliver new technologies that empower Trailblazers to innovate, build, personalize, and be successful. We inspire each other and the industry through our values and culture, which comes to life in our products, events, workspaces, and in the ways that we give back to our communities. This has led us to be ranked Fortune Magazine’s #1 “Best Company To Work For” in 2018. Learn more at salesforce.com. Robert Half is the world’s first and largest specialized staffing firm. With more than 300 locations worldwide, including four in the Denver area, Robert Half places professionals on a temporary and full-time basis in the accounting/finance, technology, legal, creative and administrative fields. We believe working happy is the only way to work, and we have made it our mission to help people find fulfilling jobs and help companies build happy, productive teams. For more information, please call: 1(844)374-3469. Caesars Entertainment offers one dedicated team committed to providing successful meetings and events. With one call or email, planners have access to 40 properties in 20 unique destinations, with 1.9 million square feet of meeting space and 40,000 guest rooms. For more information, please visit www.CaesarsMeansBusiness.com. East Bay Economic Development Alliance (East Bay EDA) is a cross-sector partnership with over 28 years supporting strategic economic development in Alameda and Contra Costa Counties. East Bay EDA convenes diverse stakeholders including local business, government and community leaders who recognize the extraordinary value of our region as global leaders and an unrivaled place to live and work. Focused on creating a thriving business climate, East Bay EDA is a champion of regional collaboration providing a healthy and vibrant economy through direct business services, legislative advocacy and regional networking.